Nepal, a land of diverse culture and tradition, has its own unique dishes that leave the taste buds craving for more. The delicacies presented here have been selected from hundreds of mouth-watering recipes originating from the high mountains to the Nepalese plains. The famous Nepali crispy doughnut (sel roti), a must during the Tihar or Deepawali festival, is prepared from rice flour. Gundruk, a popular dish among Nepalis, is prepared by fermenting and drying leafy vegetables, namely mustard and radish leaves. The blog Nepali Local Food explains how to cook gundruk ko jhol (soup). Method: Soak Gundruk/Sinki in water for 10 min. Heat oil and fry chopped onions, tomatoes, chilies. Drain up soaked Gundruk/Sinki and fry, add turmeric powder and salt, and put 2 cups of water. Boil for 10 min, and serve hot with cooked rice. 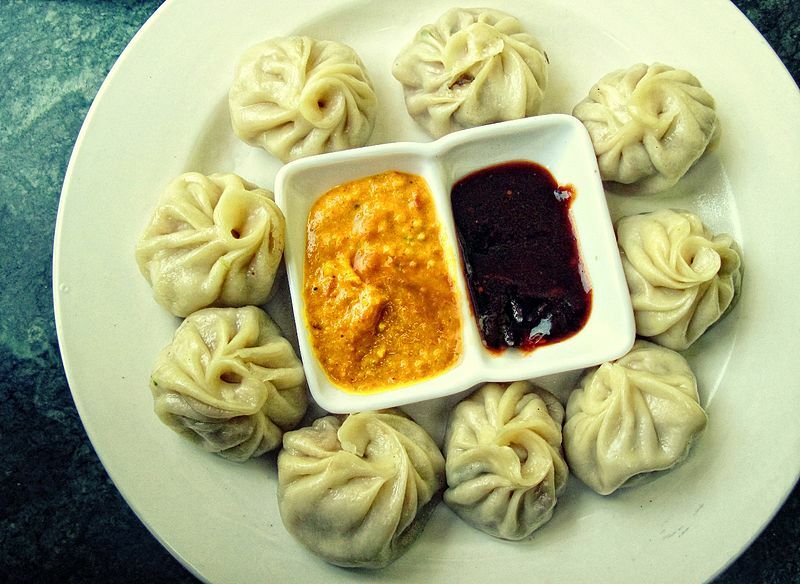 Momo, a type of Tibetan dumpling, is so popular among Nepalis that it could be considered the country's top dish. The ubiquitous restaurants selling the dumplings generally stuff it with minced buffalo meat, chicken, mutton or vegetables. Chhoila, a favourite dish among the Newars of Kathmandu Valley, has become popular throughout the country. Generally made from buffalo meat, the burnt version called “haku chhoila” (black chhoila) is very tasty. Check the We All Nepali blog for details of cooking chicken chhoila. Chatamari, also called Nepali pizza, is a kind of rice crepe made famous by the Newars of Kathmandu Valley. The blog We All Nepali offers details on how to prepare it. Bagiya is a healthy and delicious dish made from rice flour savoured especially during the Deepawali festival in eastern Terai of Nepal. It is a special to the indigenous Tharus. While Tharus in eastern Nepal prefer flat bagiya with lentils, the Tharus in western Nepal prepare bagiya in a tubular shape without lentils, explains the blog Voice of Tharus. Soak the rice is soaked in water and mill it in a dheki, the traditional rice milling machine. The taste of the flour ground in a dheki is many times better than the one ground in a rice mill. Sift the flour and fry it in an iron cauldron (Don't add oil and keep in mind not to burn the flour). Mix warm water to the flour and knead enough to prepare a tender dough. Steam lentils and add spices, ginger, mustard oil and salt to it. Make round dumplings out of the dough. Bore a hole, put the mixture of lentils and spice and flatten it with the palms at the middle and leave both the ends protruding out. Steam the dumplings over a clay pot of boiling water. Serve the steamed bagiya with chutney or vegetable curry. Sidhara is prepared from taro stem, turmeric, and dried fish. The aroma is pungent and the taste bitter, but still it is one of the delicacies eaten by the Terai dwellers especially indigenous peoples like the Tharus, Danuwars, Musahars and others. Gather the Dedhna and Ponthi varieties of fish. Both the varieties are found in abundance in the paddy fields and public water sources. Dry the fishes on sun. It will take few days to dry perfectly. Gather Kachu (taro – Colocasia) stems and cut them into small pieces. Wash them thoroughly. Grind or mill the dried fishes, together with the colocasia stem and turmeric, and make small cakes. 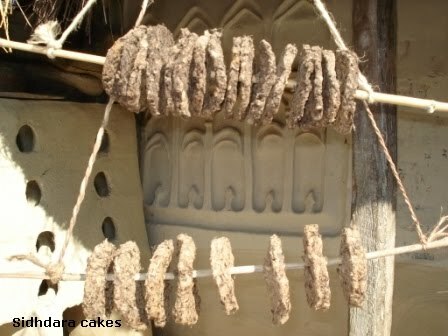 Leave the cakes to dry on the sun for 10-15 days and after that it store in a dry place for future use. Your sidhara is then ready to cook and eat. To cook the sidhara, crumple and break the cakes into tiny crumbs. Fry the pieces of sidhara in mustard oil together with onion, green chillies, radish and spices. Add water and salt to taste. Garnish the dish with green coriander leaves and serve with puffed and beaten rice. Nosy Iranja is known as the Turtle island for the Hawksbill Turtles came to shore to lay their eggs. 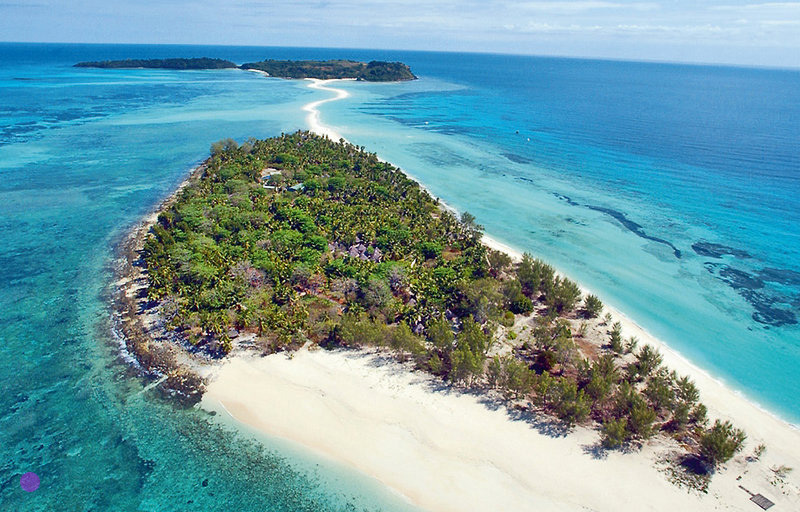 It is also known for the spectacular sandbank that bridges the two nearby islands. 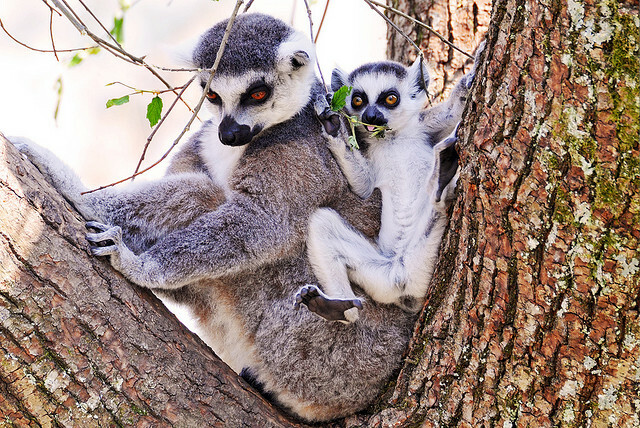 When I was a student I did a report on Madagascar, and ever since then it was my biggest dream to go there [..] The (Malagasy) people live and get by every day walking in the roads, living this super simple life, and they're still happy. It is an experience that keeps you humble, puts things in perspective. Ny olon-kafa maita ny hatsaran'ny Nosin-tsik fa ny tompony jay no tsy mahafatatra fa tsar i Gasikara! 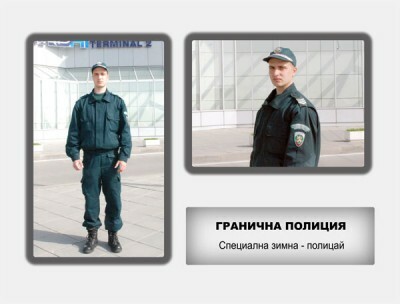 Tsara daholo ny mannequin naka sary é! 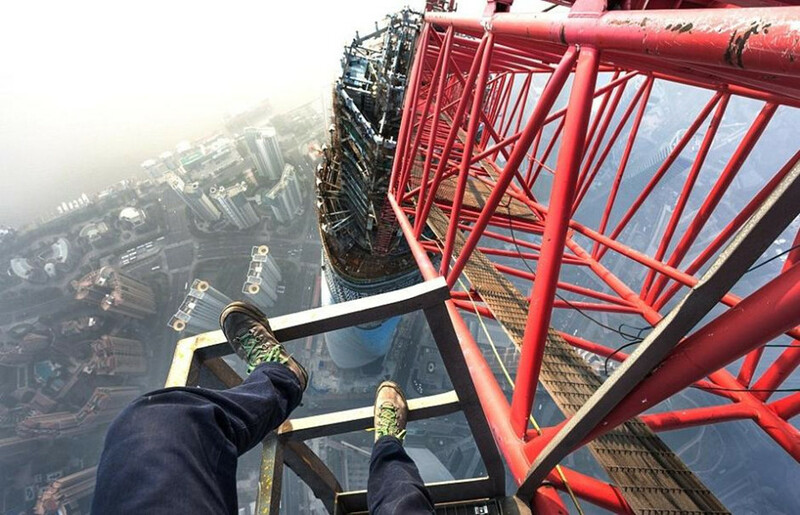 Vadim Makhorov and Vitaly Raskalov sent a shockwave through the Internet on February 12, 2014 when they posted a video of themselves climbing the Shanghai Tower. 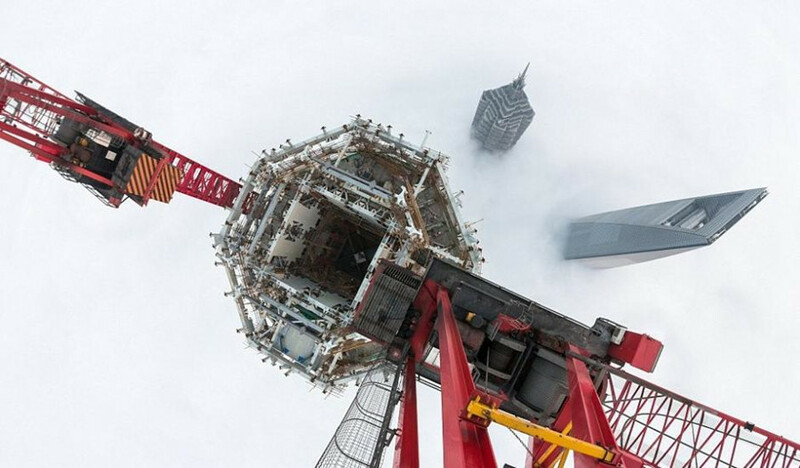 The 2,073-foot (632-meter) Shanghai Tower when completed will be the second tallest building in the world after the Burj Khalifa in Dubai. That's Shanghai interviewed the Russian team about their climbing experience. 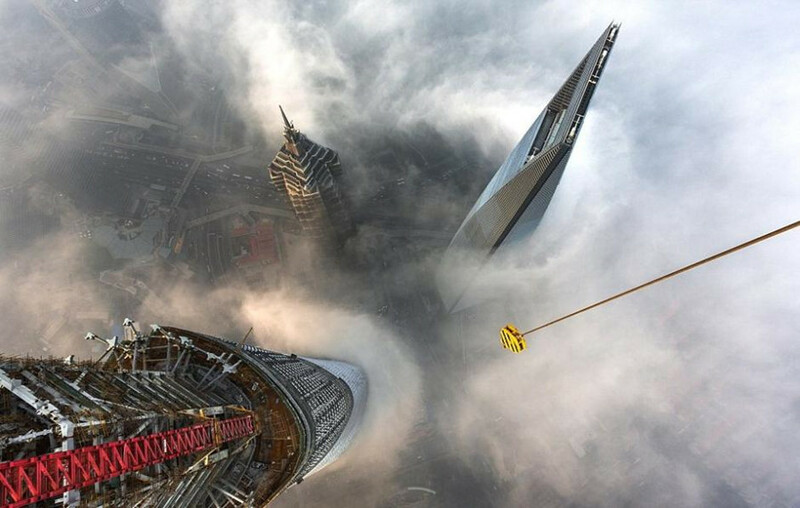 Check out these incredible photos that the pair took from the top of Shanghai Tower, and some other snaps of Shanghai. All photos courtesy Vadim Makhorov and Vitaly Raskalov of On the Roofs and republished with permission. They say if you go on a second date with a girl, it's because you like her. If you go on more than two, there's definitely something there. 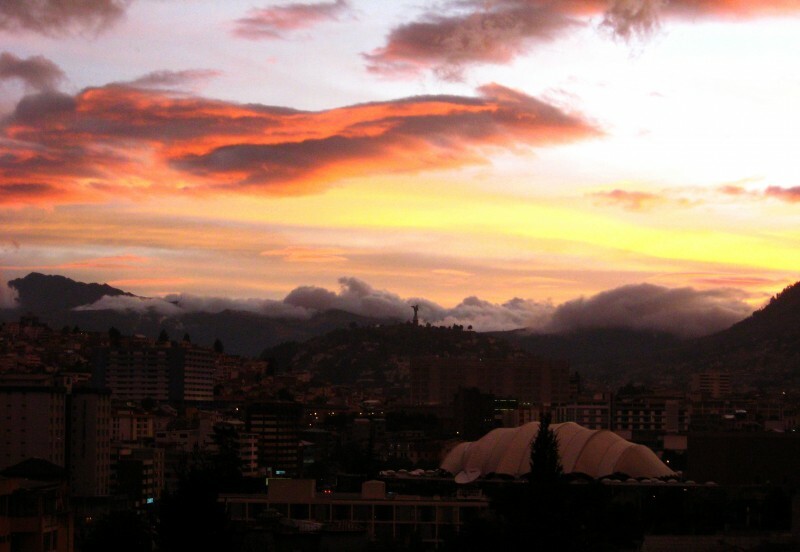 The first time I visited Quito was by chance. 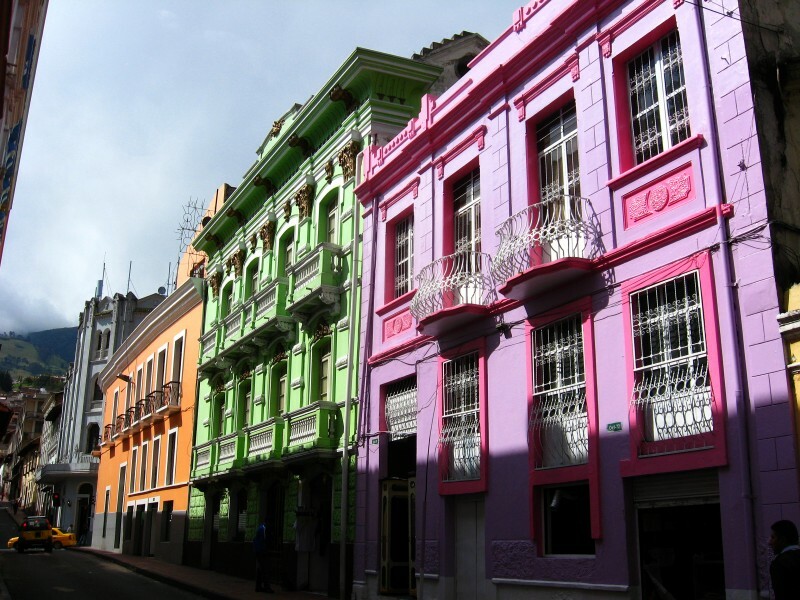 I didn’t plan it, but a long layover between buses gave me the opportunity to walk around Ecuador's capital city. And behold, this is now the fourth time I've come to visit. That’s right: I cannot deny it. I am in love. I am still critical of the object of my love. I do not allow its beauty to cloud my judgement or prevent me from seeing its flaws. But as a gentleman, I try to keep my criticisms to myself. 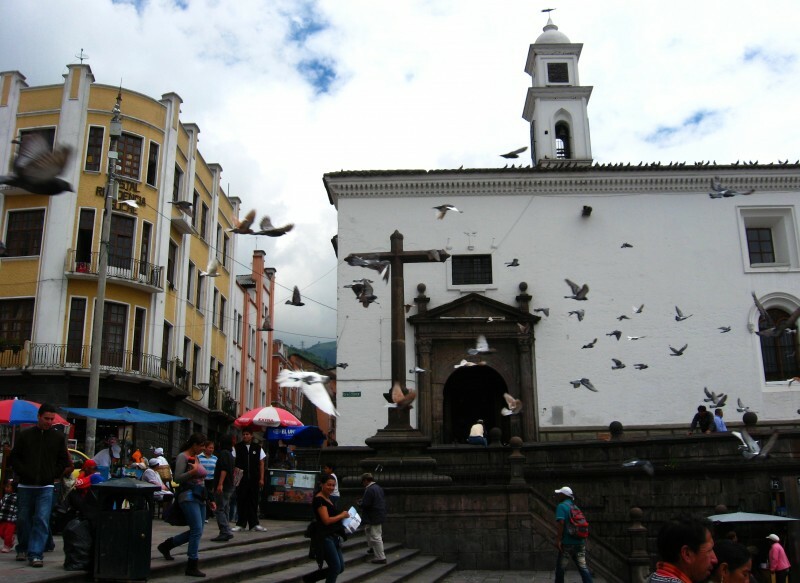 I have always entered Quito the same way—from below, meaning from the south through Quitumbe. This allows me to use the trolley to get to the center of the city. And I must say that US $0.25 is a bargain price to get around. This way I can appreciate its diverse south side, an attractive part of the city. I get off at Santo Domingo Square, and quickly walk a few blocks to my hotel, drop my things off, grab my camera, and set out to explore my beloved with a stirring heart. Literally. In Quito you won't experience altitude sickness, but you are aware you're at 2,800m. Seeing the one you love after some time apart is a marvelous feeling. What is already known is eagerly rediscovered, and although the mind doesn't stop comparing and checking for changes, the excitement of a reunion surpasses everything. I should note at this point that just as some people prefer blondes or voluptuous women, I like a city with history—and for this history to be felt while you admire her with delight. Big buildings or modern malls do not impress me. Show me some ruins or an old church, and darling, I'm yours. 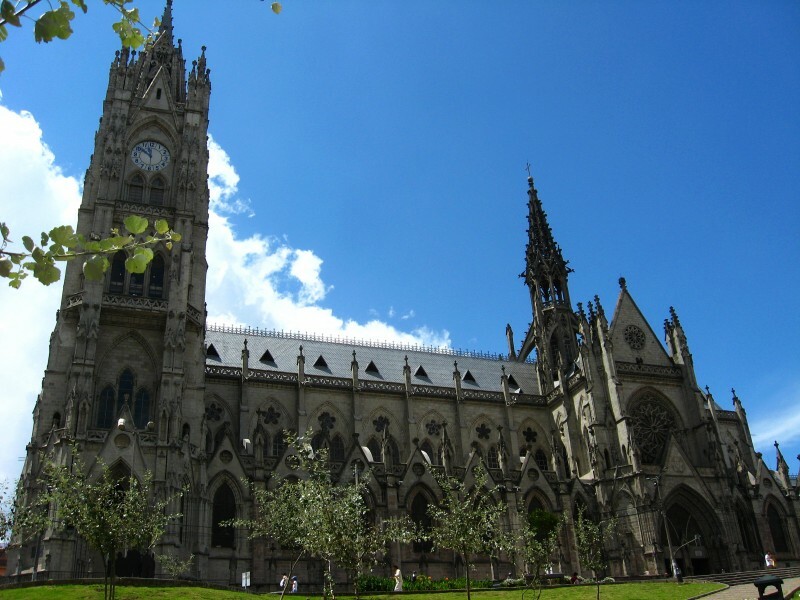 One of the things I like about Quito is that its history is a part of mine. Many things that happened here are connected to Peru’s history. Quito was part of the Inca empire Tahuantinsuyo. In colonial times, the Royal Audience of Quito was part of the Viceroyalty of Peru. Therefore, many names from Peru’s past are also present here: Atahualpa, Pizarro, Sucre, Bolivar. 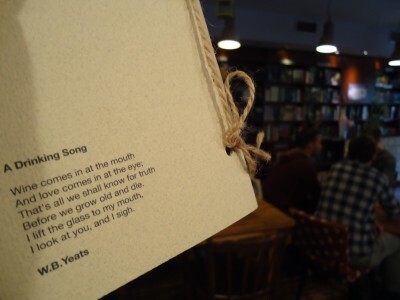 It is like hearing a new version of an old tale. I mentioned the churches—and it is not that I am a fervent Catholic, but the old churches that colonial powers left behind are to be admired. Quito has lots of them. Santo Domingo, the beautiful (though a tad unkempt), San Francisco, the Company, all of them are are full of fabulous works of art and paintings from the Quito school. The modern yet gothic Basilica Voto is perhaps the only church where a guided tour comes close to qualifying as an extreme sport (go climb the towers and you will understand). 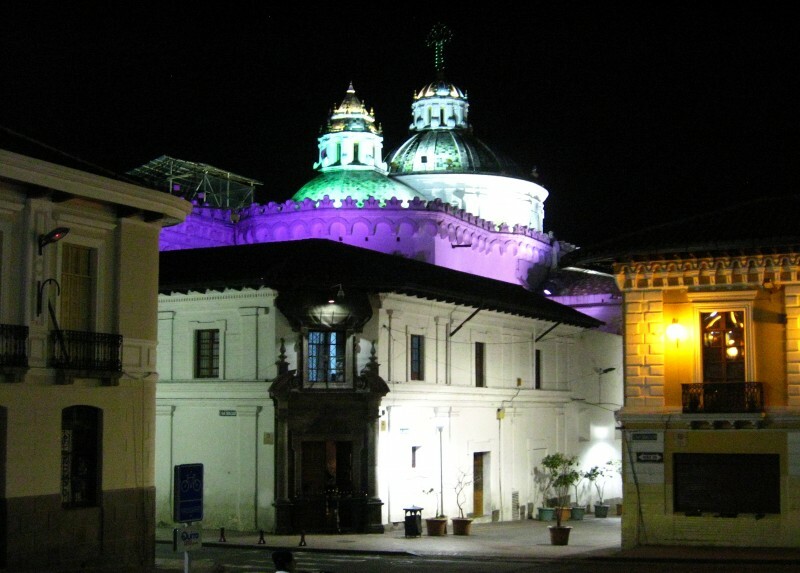 You want to see museums in Quito? They leave me breathless. There's one on practically every other block in the historic center, in addition to in almost every church. Or if you spend a Sunday morning walking the city, you can enjoy endless street performances [es]. Once I even saw a Peruvian woman teaching people to dance the huayno, imagine that. The food I must admit is quite good, except for one or two things that to Peruvians are quite sacrilegious. The rest is very good. And do not limit yourself to eating only in restaurants. Try the street food (I loved the fig and cheese sandwiches) and definitely go to a picantería (restaurant specializing in spicy foods), where a meal both delicious and inexpensive. If, like me, you have the opportunity to go with a local girl who can help with recommendations, even better. I said that I wouldn't say anything bad about Quito, but there is one thing I can't ignore, and that's the taxi drivers. Sorry baby, but I had to say it. The worst thing about the taxi drivers is the lack of them, coming from someone who is accustomed to Peru's capital where you simply raise your hand to hail a cab. In Lima, you can expect that the next driver will offer a good price if the first doesn't. The shortage of taxis in Quito always surprises me. When it rains you'll never see an empty cab. As in most big cities, always agree on a price unless the taxi has a meter. 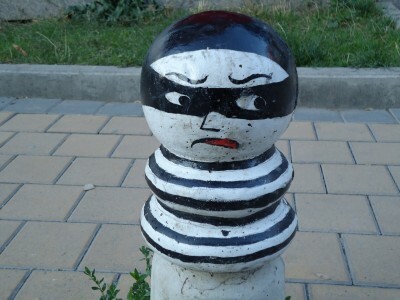 Don't run the risk of being scammed upon arrival. As with any couple who truly love one another, disagreements are quickly overcome and warm feelings return. 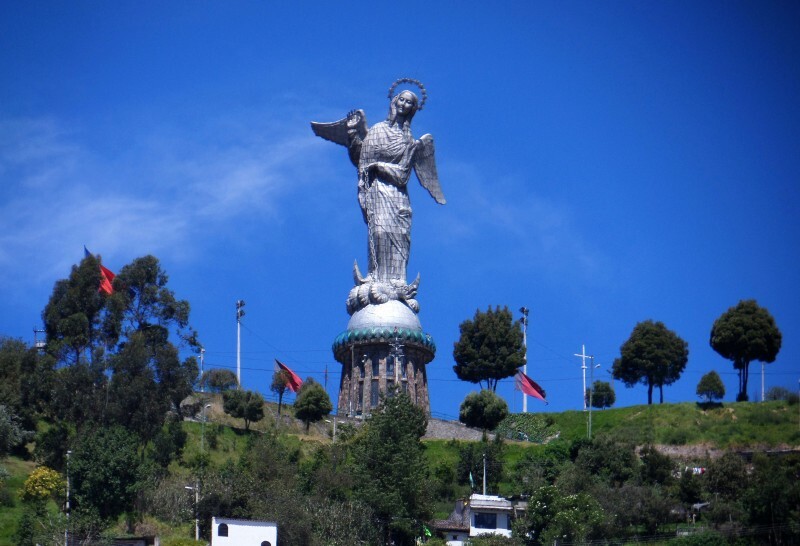 If there is one thing that symbolizes my love for Quito, it is the sculpture of the Virgin of Panecillo, inspired by the Virgin of Quito. Contemplating the beauty of this graceful winged virgin, captured as if in mid-dance, fascinates and transports me. 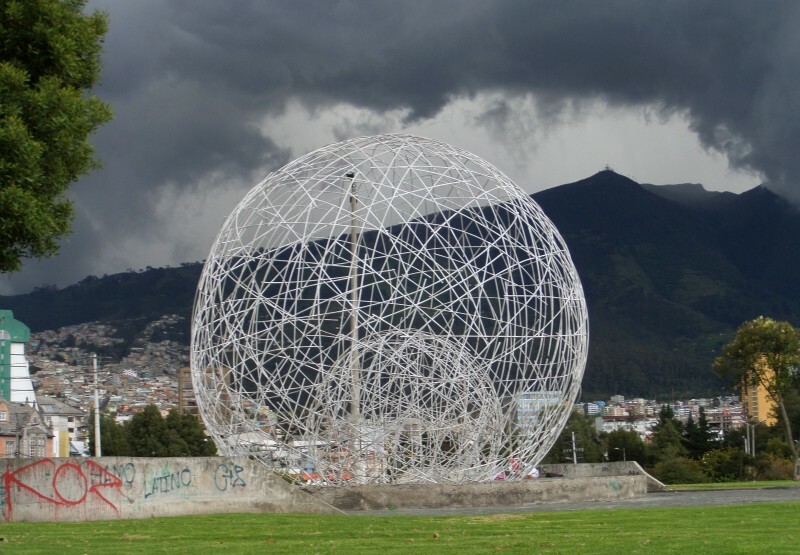 Quito has all the other features you would expect: malls, nightlife, beautiful parks, extraordinary surroundings and hundreds of things to discover that make it worthwhile to explore. 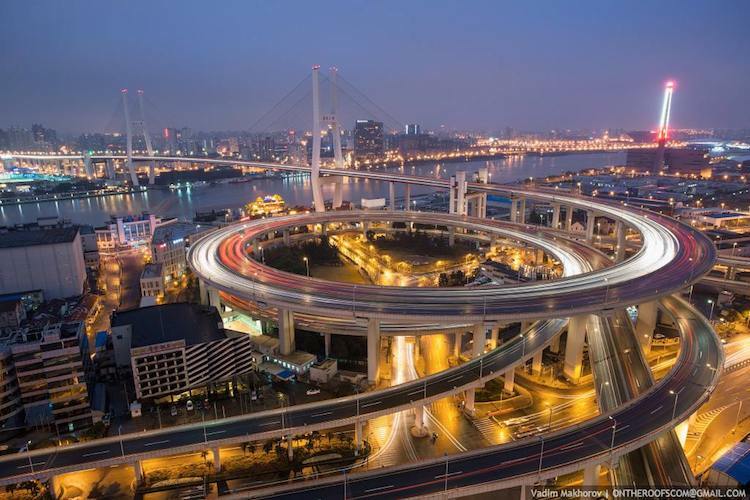 Keep an adventurous spirit and patience because it also has traffic that can be terrible. As you know, nobody is perfect. In its sometimes winding streets you can find everything from people dancing spontaneously, be it at night or during the day, to a wedding reception being joyfully celebrated in a public plaza. And it you walk around Plaza Grande on a Monday, you can even see the Citizens’ Revolution in action, where the very President of the Republic greets the public in a changing of the guards ceremony. 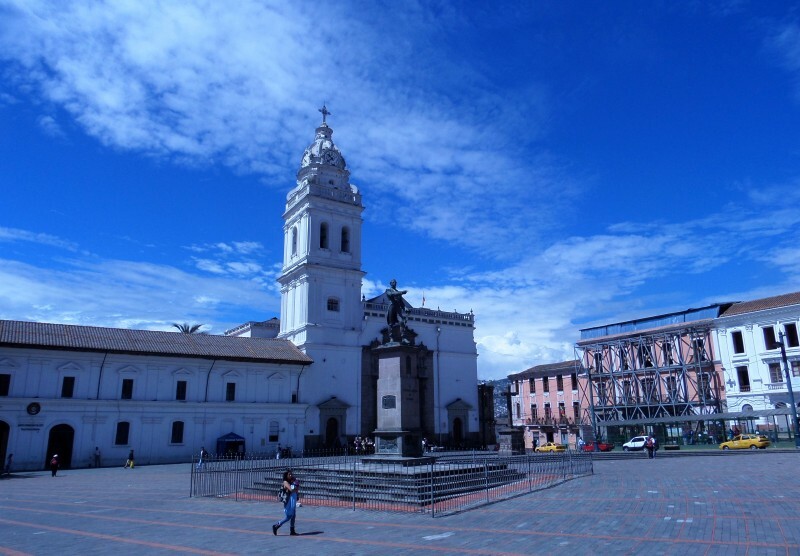 But apart from everything this city has to offer—and perhaps I am being subjective here—I must confess that what particularly appeals to me about Quito is that it does not make me feel like a stranger. And that is partly due to its people, partly due to the architecture in the historical center, also due to the cultural offerings (even hackers [es] can be found there!). Its mostly benign climate, or perhaps its the mix of all of this, lends its own je ne sais quoi. Or putting it colloquially: it’s that you know how to make me feel good, dear. P.S. If you are interested in getting to know Quito via its people, I can recommend a few pages on Facebook: Quito escondido (Hidden Quito), from my friend Galo Pérez, whom I interviewed in this post [es], and Quito, de aldea a ciudad (Quito, from village to city), which collects old photos of Quito. Juan Arellano has been the editor of Global Voices in Spanish since 2007 and lives in Lima, Peru. He is a former Systems programmer and worked 12 years as analyst/developer at Minero Perú SA, then another 5 years as Operations Manager at IPSS/ESSALUD. After a time devoted to personal business returned to the public admin as head of collections at Municipalidad de Maynas, Iquitos. He also worked in ONPE, the National Office of Electoral Processes, as supervisor at the Regional Coordination. In 2004, he was a co-founder of “BlogsPerú” the first blog directory in Peru. Since 2007 he works as Global Voices en español Editor. 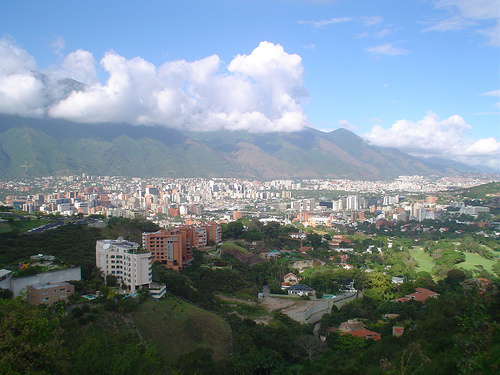 He also collaborated in the “Información Cívica” project from OSI, and collaborates with “Periodismo Ciudadano” and Future Challenges websites, among others.This post was originally published at Juan Arellano's Globalizado blog. Marianna Breytman gently translated this post. The Saigoneer features several photos published by the French Consulate in Saigon, Vietnam that highlight the changes that took place in the city between 1955 and 2005. 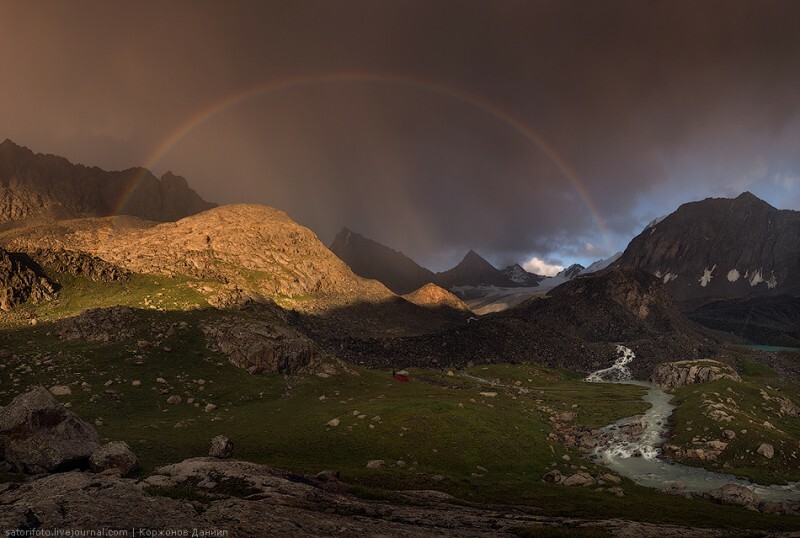 Kloop.kg presents [ru] a collection of photos from “dreamlike Kyrgyzstan” by Russian photographer Danil Korzhonov. 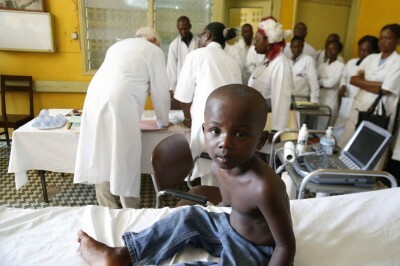 Image from kloop.kg, used with permission. Two blogs are reporting that the US has issued a security alert to its citizens about an ‘unconfirmed threat’ to flights from Guyana. Netizens are also sharing the news via Facebook. Tags: Caribbean Citizen Media English Guyana Media &amp; Journalism Quick Reads Travel U.S.A. The immigration debate has increasingly polarized public opinion in France over the past few years. The rise of the far right, such as the National Front party, in recent elections catalyzed an anti-immigration rhetoric that seems to permeate into the more moderate conservative parties. The most notorious stories involved the “pain au chocolat” [fr] (chocolate croissants) affair, in which the leader of the opposition JF Copé stated that he was distraught knowing that children in some districts get harassed by Muslim youngsters [fr] for eating chocolate croissants during Ramadan. Les autochtones ont perdu le statut de référent culturel qui était le leur dans les périodes précédentes de l’immigration. Ils ne sont plus prescripteurs. Quand ils voient se multiplier les conversions à l’islam, ils se demandent où ils habitent. Ils n’ont pas bougé, mais tout a changé autour d’eux. […] Plus l’immigration augmente et plus le territoire se fragmente. The “original” French people have lost the status of cultural reference, a status they held in earlier periods of immigration. They are no longer the normative reference. When they see increased conversions to Islam, they wonder where they live. They have not moved, yet everything has changed around them. [...] The more immigration increases, the more the nation becomes fragmented. Il y a, c’est certain, une forte anxiété dans la France d’aujourd’hui. Mais pourquoi caricaturer tous les «étrangers» comme s’ils ne voulaient ni s’intégrer ni accepter le passé de la France? Que sait-il des Français de deuxième et troisième génération? De leur langue, de leur culture? De l’énergie créatrice des quartiers? [...] L’identité française, pourtant, n’est pas malheureuse. Elle bouge, elle change, elle se cherche, elle fait des allers-retours avec son passé. Et tous ceux qui pensent qu’exalter «l’identité nationale» permettrait de sortir des difficultés sociales et économiques que nous traversons se trompent. There is certainly a lot of anxiety in France today. But why caricature all foreigners as if they do not want to fit in nor accept the history of France? 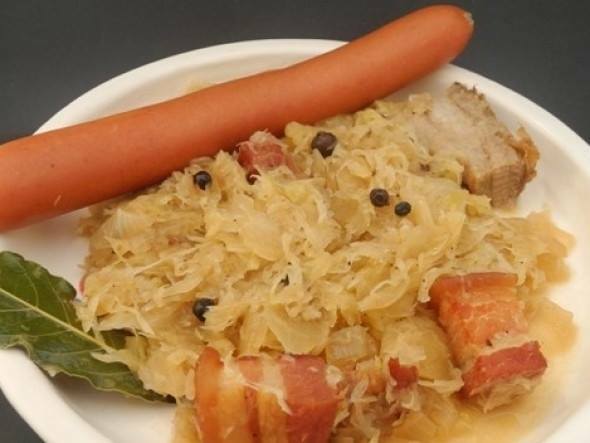 What does [Finkelkraut] know of France's second and third generation of immigrants? Their language and their culture? The creative energy they bring to their neighborhoods? [...] The French identity is not an unhappy one.”It moves, it changes, it goes forward, backward towards the past, then forward again. Anyone who thinks that exalting ”national identity” would solve our social and economic challenges is just kidding themselves. En dix ans, la population française établie hors des frontières se serait accrue de 40% soit une augmentation de 3 à 4% par an et un total de plus de 2 millions de Français installés à l'étranger. Estimation seulement car l'inscription au registre mondial n'est pas obligatoire. Le think tank francais-etranger.org pense que ce chiffre serait beaucoup plus proche de 3 milions. Pourquoi sont-ils partis ? 65% des expatriés affirment rechercher une nouvelle expérience professionnelle et près du tiers, une augmentation de revenus. Le désir de découvrir un nouveau pays est évoqué devant les motivations professionnelles ou linguistiques. In ten years, the French population abroad have seen an increase of 40 percent, an increase of 3 to 4 percent per year, and a total of more than two million French now live abroad. This is only an estimate because sign up in the consulate's register is not mandatory. The think tank French-etranger.org thinks that number would be much closer to three million people. Why have they left France? 65 percent of expatriates say that they were looking for new work experience and nearly a third of them wanted a better income. The desire to discover a new country is also mentioned first, before any professional or linguistic motivations. Indeed, the viewpoint on immigration differs when seen from French citizens outside France. Since 1981, [the left] has won more than 20 points in French from abroad voting and the gap with the national score there was less than one point in 2007 (46.01 percent against 46.94 percent). 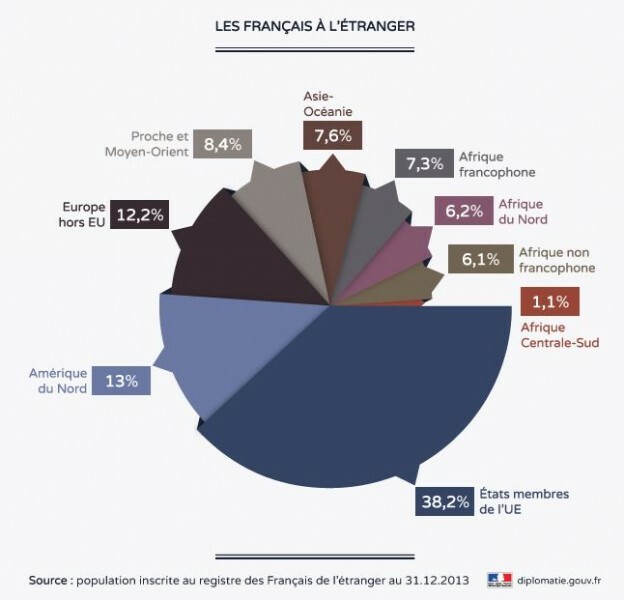 Ma France pourrait regarder vers ces pays où les habitants parlent plusieurs langues sans aucun problème et circulent à l'aise dans le monde, alors qu'elle a dressé ses habitants à avoir peur de ce qu'ils appellent la “mondialisation”. La peur ressentie pas bon nombre de mes compatriotes devant “l'étranger” en général et la “mondialisation” en particulier, ne serait plus s'ils avaient confiance en eux. Celui qui a confiance n'a pas peur de l'autre ni de l'étranger, ni du monde, bien au contraire, il échange dans le respect mutuel. The France I want to see should look to those countries where people speak different languages ​​without any problems and move at ease in the world. So far, France has only taught its people to be afraid of what they call “globalization”. 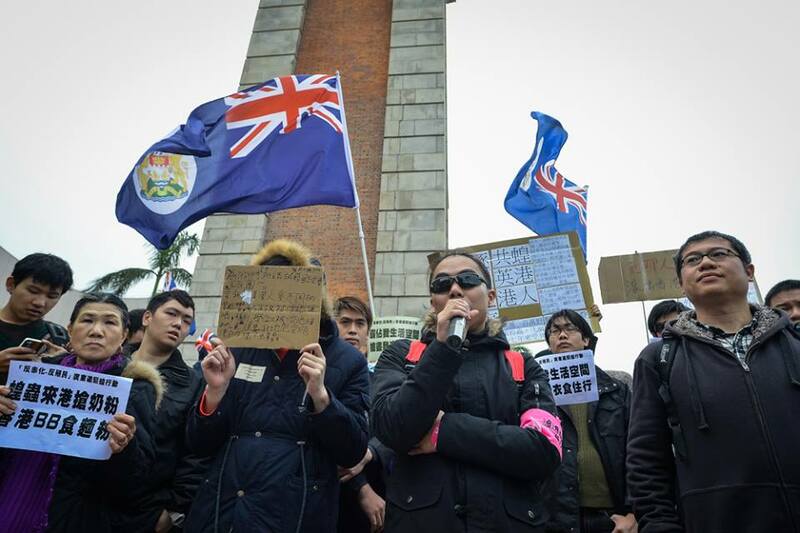 The fear felt by many of my countrymen of “foreigners” in general and “globalization” in particular, would vanish if they had confidence in themselves. 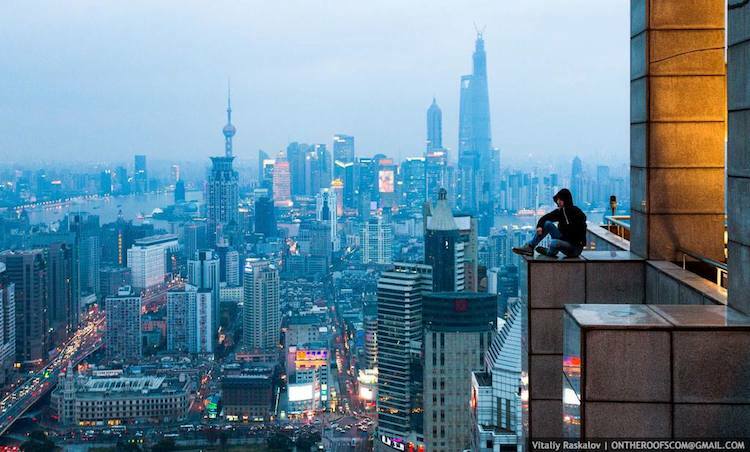 People who have self-confidence do not fear the “other”, “foreigners”, nor the world. On the contrary, they interact with them with mutual respect. 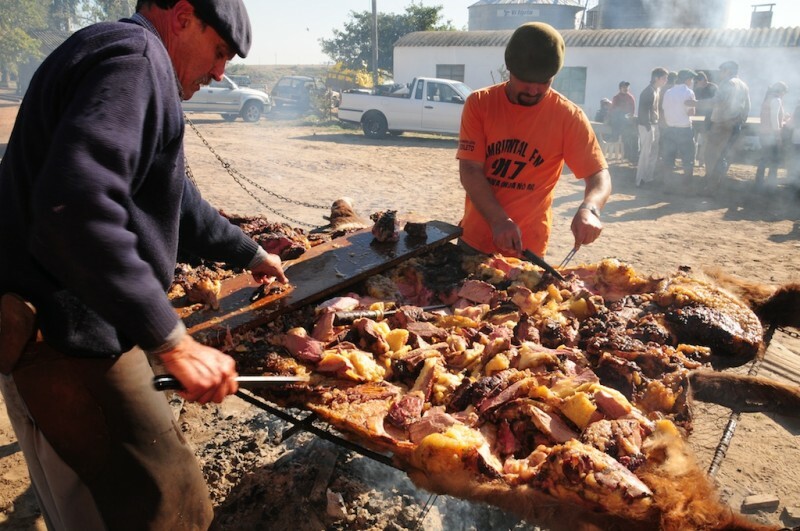 When we think of Uruguayan cuisine, one iconic dish always comes to mind: the ‘asado‘, or barbecue. 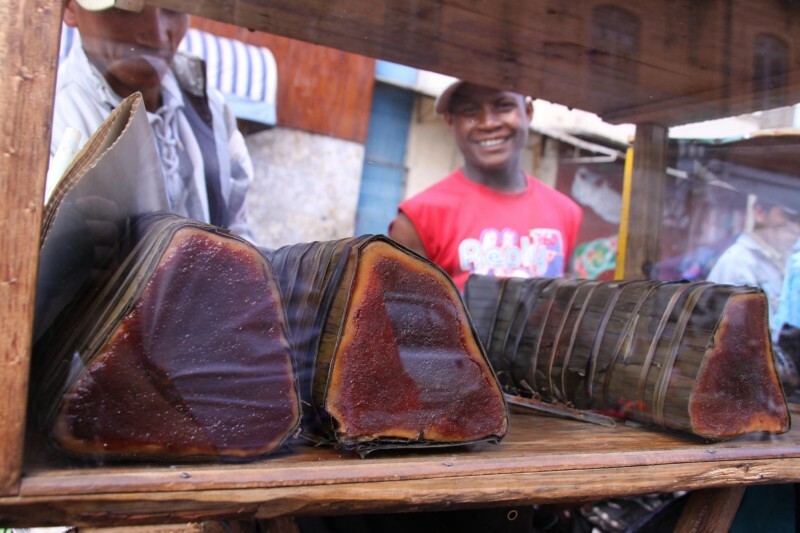 But this is more than just a traditional dish, it represents the country's whole identity. This dish is an icon of Uruguayan and Argentine tradition par excellence, acting as a social linchpin, as one of the most strongly rooted customs and as a symbol of friendship. No-one, or nearly no-one, prepares a barbecue for themselves alone. The barbecue is a reason to meet, an excuse for a get-together, to bring together those who are separated for whatever reason. 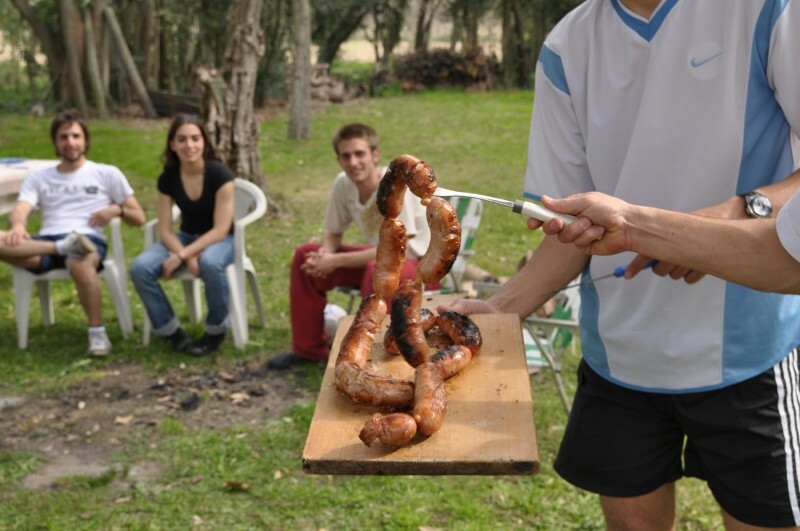 The ‘asado’ is also a cause of rivalry between opposite shores of the Río de la Plata. Both Argentines and Uruguayans boast of having the best barbecue in a debate as varied as there are palates in the world. The Argentines claim that they are the ones who make the best barbecue, they do occasionally admit that we have better meat (except the ‘bife de chorizo’ which is Argentine by definition), we batter each other over the best recipe for ‘chimichurri‘ [a special sauce for the meat], we laugh at the Mexicans who cook in the flame and we dismiss the Porteños who cook using charcoal. When we speak of the barbecue, we are not necessarily referring to a mere lump of cooked meat, but rather to all the paraphernalia which surrounds it, the different kinds of meat and vegetables so that everybody feels included, whether they are meat-eaters or vegetarian. The fire which brings people together and protects them also has a central role, as it has done since the dawn of humanity. In the absence of a grill, many households have substituted the typical grilled barbecue [es] for the oven-baked barbecue in their daily cooking. This option is considered a second-best by connoisseurs of the ‘asado', but it is easier to work in to the daily life of Uruguayan families. In order to simplify the dish's preparation still further, the well-known chef Sergio Puglia [es] even suggests a barbecue with salsa criolla [es] made in the microwave on his website. The role of the barbecuer -'asador’ in Spanish- is fundamental to this social event, transforming them into the architect of the feast and to a certain extent, into a master of ceremonies. The barbecuer is the one who takes the lead in this dish, the one who manages the timing and signals when and how to savour their work. The skill of the barbecuer determines the quality of the barbecue and if they are successful, they will receive praise and applause. However, if they get it wrong they will be the target of taunts and reprimands, until they manage to redeem themselves with another barbecue which meets expectations. The traditional midday barbecue held on construction sites constitutes another iconic moment in the life of the dish. This is a ritual for construction workers who gather to eat together, regain strength to continue working and strengthen the brotherly bonds which make it easier to work and live together during these tough working days. 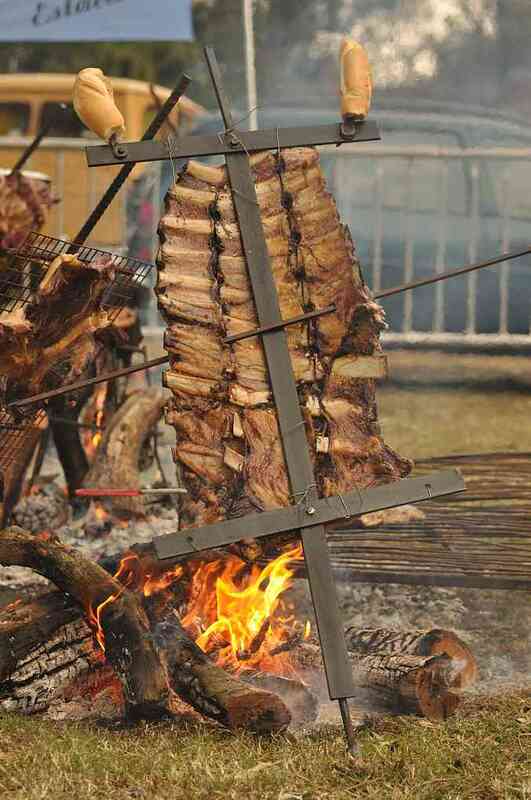 Besides the traditions and the friendship, there is also a veil of mystery surrounding a good ‘asado'. Each barbecuer has their secrets and their own particular way of preparing the meat, which gives each barbecue its unique and unrepeatable taste. Even if these secrets were to be revealed, it would still be impossible to repeat as the barbecue is much more than just a dish, it is a magical moment to be shared. 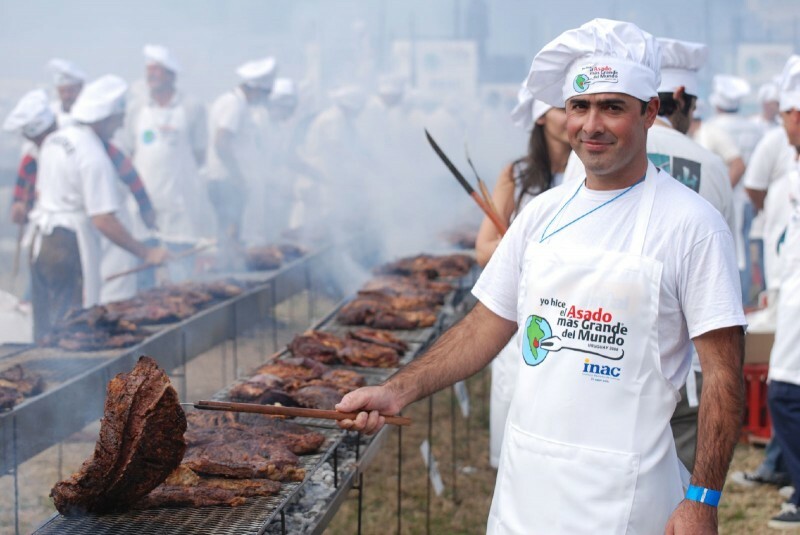 In Uruguay, but above all in Montevideo, the majority of gastronomic venues are specialised barbecues [es] or they have the barbecue as an option on their menu. Marrying a Japanese wife, having a French lover, hiring a Chinese cook, employing a British butler. 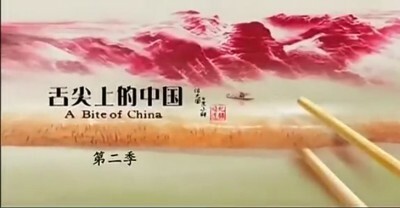 However, the beauty and mystery of Chinese food was never well explained or greatly appreciated on an artistic level even within China until the premiere of a seven-part documentary series on China’s food culture called “A Bite of China” (literally translated as “China on the Tip of the Tongue”) produced by state broadcaster China Central TV in May 2012. 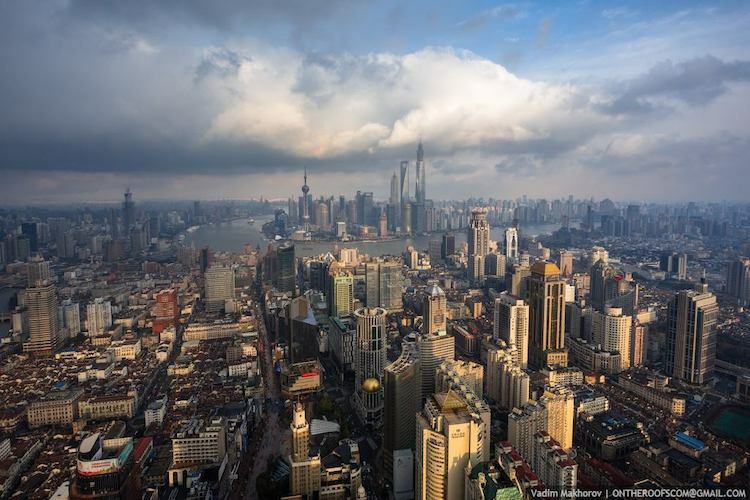 The series gives a visual introduction to China's rich culinary tradition and wide regional variety by showing basic local ingredients, cooking methods and local food specialties and customs. Chinese cuisine goes back to basics in the series: old women looking for matsutake mushrooms on pathless mountainsides, a fisherman catching barracuda for supper, a group of farmers collecting lotus roots from a muddy river in the winter. Thirty of the country's most respected filmmakers worked for more than a year filming the seven 50-minute episodes. They shot throughout the country, from frozen lakes to bamboo forests. 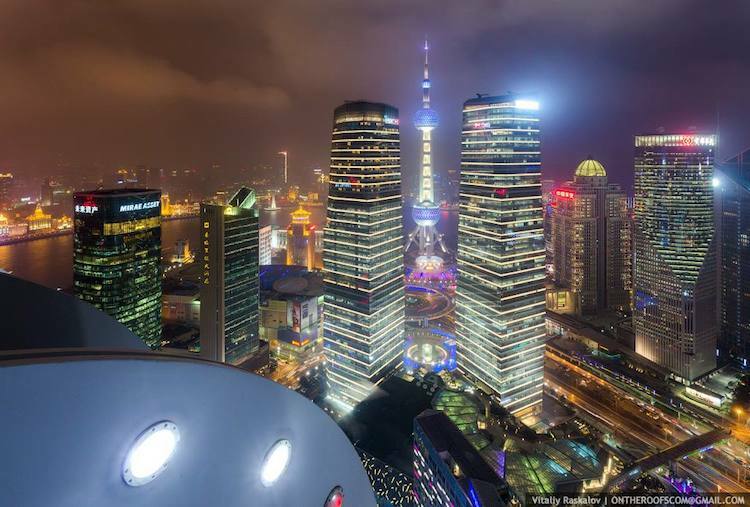 The documentary became an instant hit and a trending topic on Chinese social media. Many think it's the best documentary ever produced in China due to its beautiful visual effects and the powerful nostalgia it invokes. It became so popular that the second season was launched in January 2013 and is scheduled for release in 2014. It's likely to be China’s most anticipated sequel of 2014. There are plans to screen ”A Bite of China” in 20 countries including Germany and the United States, but at the moment the show is only available on YouTube. 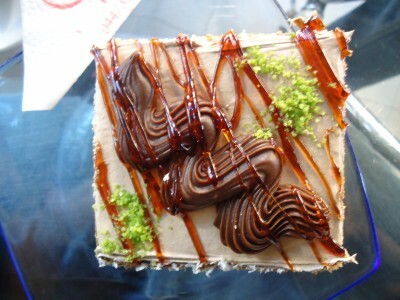 As a foodie, it's such a blessing to be born in China, a place of abundant resources. A great documentary. This is not just about food, but also stories of people. I didn't know there are so many cultural places I have never been to in China. Cuisine is a disappearing tradition, [when I think about this] my heart feels a little heavy. A trip to Kosovo nowadays would convince anyone that this country, far from its sometimes negative reputation, has indeed a lot to offer. According to the World Bank data, more than 70 percent of Kosovo's population is under 35 years old, which surely explains the fact that on the flight this Global Voices author made to the country's capital Prishtina, half of the passengers were under 10 years old. This makes for quite the start to an unusual holidays! 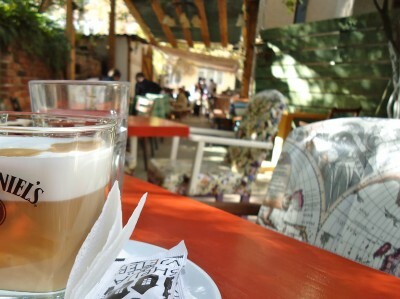 Far off from the scars, what strikes the freshly arrived visitor most are Prishtina's incredible cafés. Everyone should experience the taste of a perfect macchiato on a sunny and well-designed terrace, looking over the frenetic errands of passersby. It certainly is not a legend that the coffee there sometimes tastes even better than an Italian one – we apologize to our Italian friends for this, but it must be said! 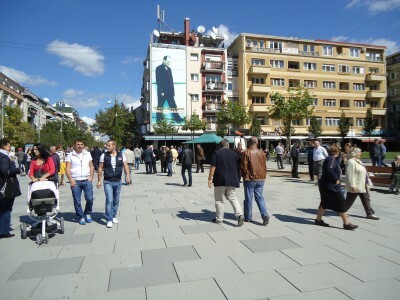 Although it might be true that Prishtina's architecture, mostly grey and anarchic buildings, is not its main attraction, the city is buoyant in its attitude and style. Its walls are full of graffiti and other forms of street art; the soul of the city appears on them an open book to visitors. “I love colors” and “I love flowers” appear very frequently on the walls of the city, mostly in the saddest parts. 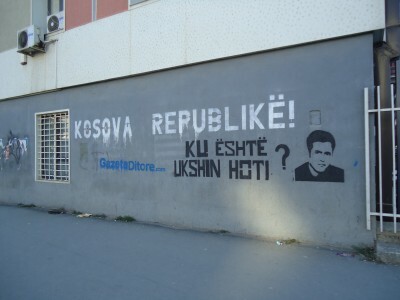 Urban art urging people not to forget the leaders of Kosovo's independence are visible here and there. Creative details are available on every corner in Kosovo. Kosovo's people seem to look more towards the future than stay stuck in the past praising war heroes or pacifist icons of Kosovo's battle for independence from Serbia, like Ibrahim Rugova. Kosovo, now the newest nation in Europe, was historically a part of Serbia and previously Yugoslavia. The 1998-99 Kosovo War was fought between the forces of the Federal Republic of Yugoslavia, made up by Serbia and Montenegro at the time, and the Kosovo rebel group known as the Kosovo Liberation Army (KLA), with military air support from NATO, after 10 years of non-violent resistance from the civil society of Kosovo. Newspaper stories about riot police and violent assaults in polling stations do nothing to give a sense of modern-day Kosovo, save for the few pockets of the country where race rivalry is still rife. In the city of Pristina, people crave recognition of their independence… but all in all, it's about as normal a city as you'll find anywhere in the Balkans. In fact, with a reported 60% voting turnout nationwide, democracy almost seems to be working better here than it does in the UK. In the center of Prishtina, street art bearing Kosovo's first President Ibrahim Rugova's image is still there, but the colors are washed out. You could see many historical buildings around the city, and you could tell Kosovars were very proud of them. University of Pristina, the best one in Kosovo, was structured nicely. 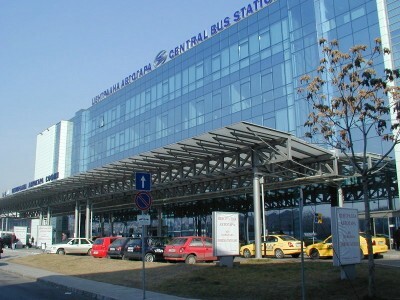 Also right next to the university, there is Pristina National Library, which was quite impressive and weirdly designed. My friend who currently works at University of Pristina had explained to me what the structure and the design was based on, but … of course this chicken head had forgotten about it. Maybe I will google and Wikipedia it later. The magazine Kosovo 2.0, available in English, Albanian and Serbian, is the new brand of this educated, multilingual and very open, worldly society. Covering politics, arts, fashion, social debates, women and gender issues, Kosovar topics and global subjects, the magazine is available in print as well as online. Kosovo 2.0 also offers a selection of the latest sounds produced locally, mostly electro genres, which are available online : http://www.kosovotwopointzero.com/player. Enjoy the musical ride! The flashy colors of a new way of life can not be ignored on the Pristhina walls. 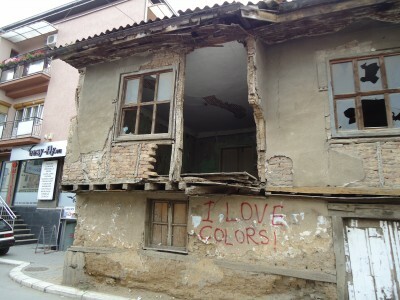 Prishtina is full of surprises for visitors from any origin. 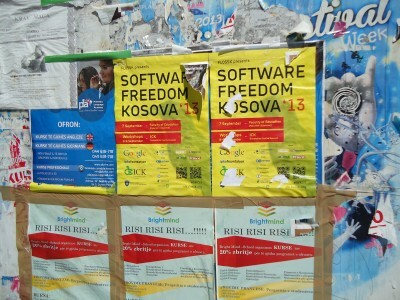 But as Kosovo is young, it is growing and changing very quickly. So do not lose any more time and, if you can, hop on the next plane or car and take a moment to discover this promising city and its joyful contradictions. If you are quick enough, there might still be a piece of cake there for you! Tasty and creamy! Almost too much, but not quite. All photographs in this post are by author Marie Bohner.